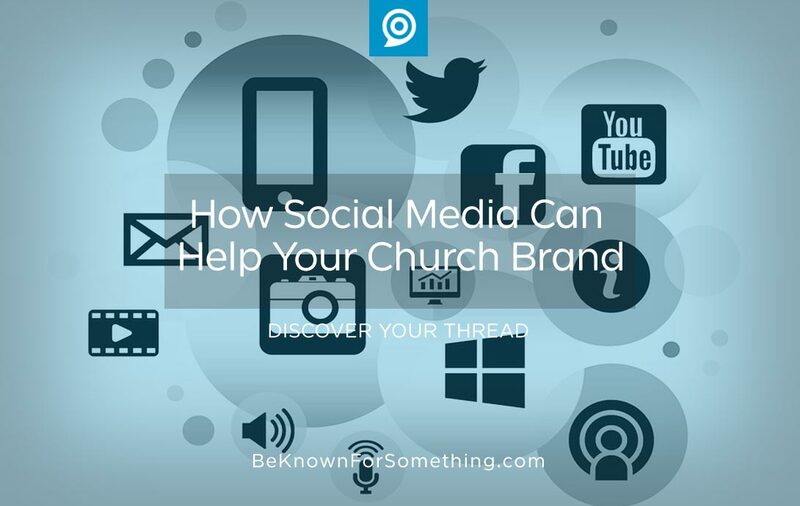 Social media is a communication tool that will make or break your church brand. Our marketing cluttered world is demonstrated on social media. Simply open the global Twitter feed and you’ll see millions of people saying something. In real time, your feed churns so quickly you can’t keep up and very little breaks through. Except certain people’s and brand’s posts are “must reads” since you really enjoy their content. 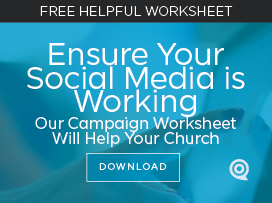 Imagine if your church was a must-read brand! It can be. Discover your thread. Stop trying to be something to everyone. Think about what your church does extremely well and to whom. How are you a solution to a major concern or a path to a specific goal? Establish a communication thread with fences to keep every ministry focused on that thread. Lock down what your thread looks like and talks like. Now decide what your visual brand looks like. It starts with a professional logo symbol that’s unique and simple enough to be recognizable as a small social media icon. Establish and lock down 2-3 colors that limit your designs. Then, a harder task, create one voice for your brand thread. List keywords to use (check with Google to see if people are looking for them). Ensure your icons and descriptions are consistent on all your social media and in your website. Limit your words and outlets. Edit all content to the fewest words necessary to get your idea across. Use keywords, hashtags, and links to give people more information if they want it. Don’t try to communicate everywhere; limit the social media feeds to only ones you can do extremely well for your brand. Only have the bandwidth for one? Probably Facebook will work. Create a reasonable schedule. Based on the amount of people who follow you and the kind of people you’re attracting, think about when they’re mostly free (before work, lunch, evenings, etc.) and post at those times. Don’t overdo it; simply think about (or research) the lifespan of a post. Twitter is very short lived, so you can post a lot. For Facebook, not so much. Be consistent. Entertain near the thread. Stop pushing information and think about ways to entertain those who follow you. Make sure it’s not mindless entertainment (although occasionally that’s fun); instead build on your thread and get people to understand and expect certain types of posts. Don’t surprise followers with content; if you jump the fence too many times, people will unsubscribe from your feed. Attempt to entertain 80% of the time with 20% being marketing or promotions. Build an audience. When a certain type of person sees you’re helping them solve their concerns or giving them hope towards obtaining a goal (and you’re doing it consistently), you’ll gain followers. People who start to rely on what you have to offer them (your thread). Your visual brand consistency lets them notice you in the cluttered social media world, and your posts will say “wait, I have something you must read”. Just make sure you deliver. All the time. Every time. That’s your role as church communicator.